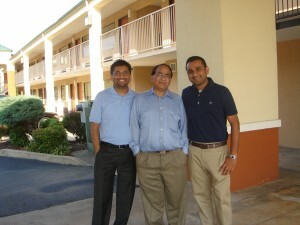 Little Rock, Arkansas – September 2013 – Little Rock based hotel management company, Pinnacle Hotel Group (PHG) congratulates and thanks Hasu Patel, Owner/Operations Manager of twenty years to the Comfort/Quality Inn of Clarksville. As a hotelier, Hasu entered into his first franchised property in 1994 with the Clarksville hotel which was branded through Choice Hotels. The property and a few others led to the inception of Pinnacle Hotel Group. Hasu will continue to serve as a corporate liaison to the Pinnacle Team.